Controversial socialite and former jailbird, Shanita Namuyimbwa well known as Bad Black must be surely seeing black days. Ever since she left Luzira Prison, she has struggled to be on the social scene she was .... but only to confuse herself. She lost her money and property to fraud cases she had in court. She is literally broke and we feel sorry for her. Besides that, while appearing on the local radio station, Bad black announced her change of names ... she claims she feels comfortable being called a Snail. 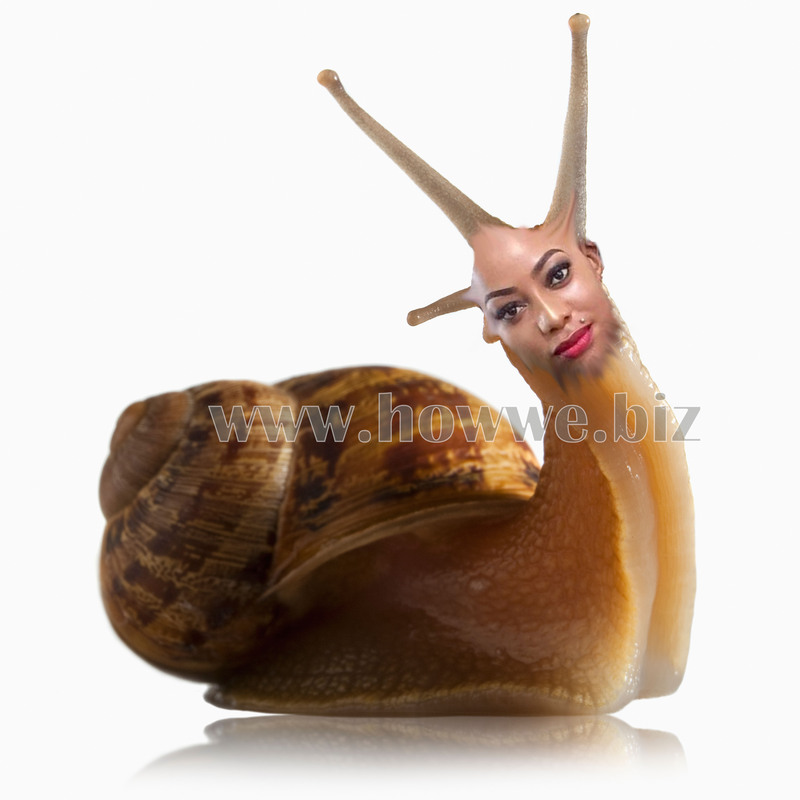 “I am no longer Bad Black, I am Snail Baby. I don’t want to hear anyone call me any other name” Black said.